was the Redondo Poets' feature reader at Coffee Cartel, February 27, 2007. She was first featured poet recorded by Poetry.LA. 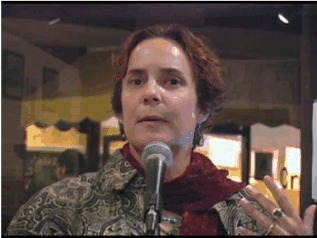 Interview with Michelle Bitting upon taking first place in the 2011 Beyond Baroque Poetry Contest.